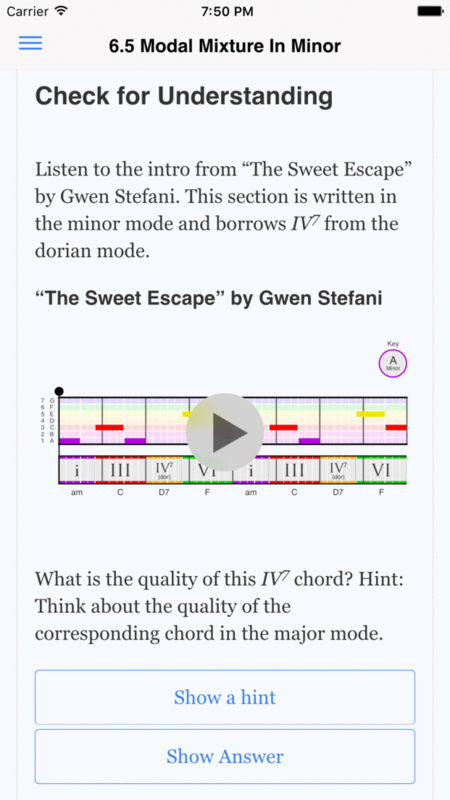 Music Theory For Songwriting Book Series - Learn How To Write Chords And Melody Like The Pros. 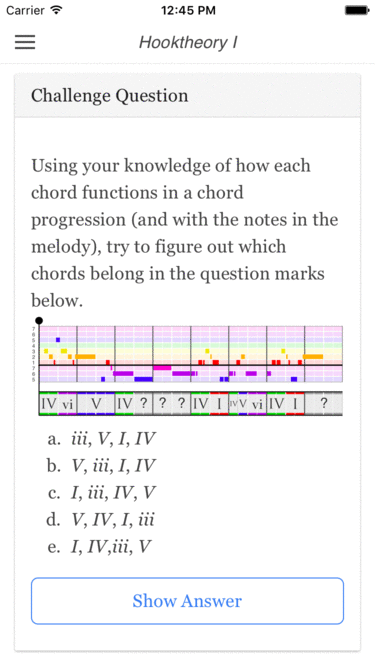 Learn how to write chords and melody like the pros. 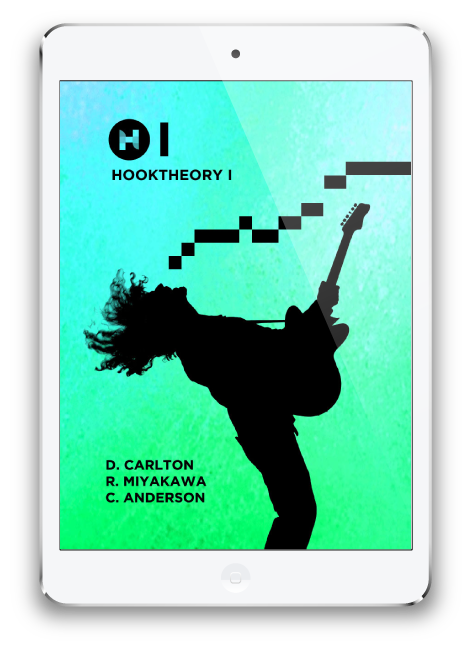 The Hooktheory Book Series is a smart, fun, skill-building journey that will concretely teach you how to craft melodies and chord progressions like professional musicians and give you a deeper understanding and intuition for how music works. 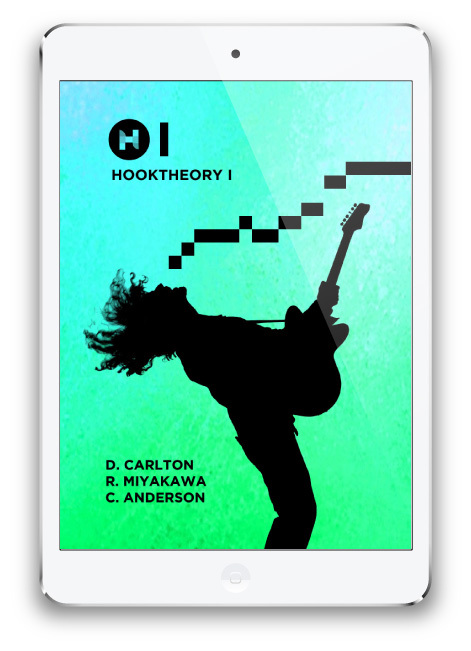 Validated by 16,435 hobby musicians like you, The Hooktheory Book Series is the best selling how-to series for hobby musicians around the world for a reason. Like a college course taught at a level a child can understand. 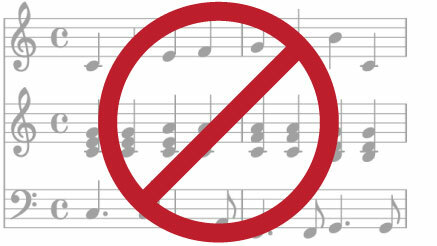 Music format is easy to understand and emphasizes chord and melody function. If you don’t read sheet music you’re out of luck. 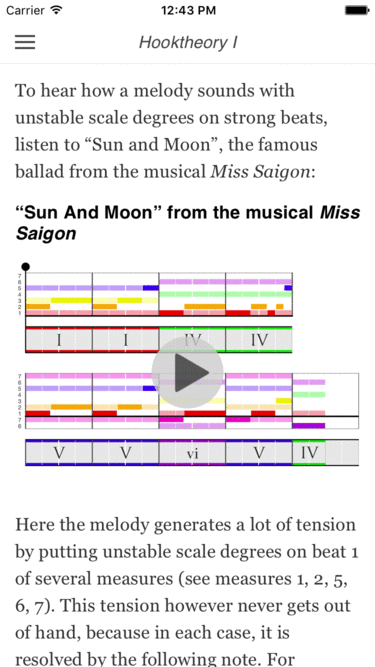 Also, sheet music music really isn’t great for teaching how music works. Learn the tactics used by popular artists from the past and present. Together, we’ll dissect 324 popular songs and illuminate and explain the tactics the pros use. Song examples you probably aren’t interested in. 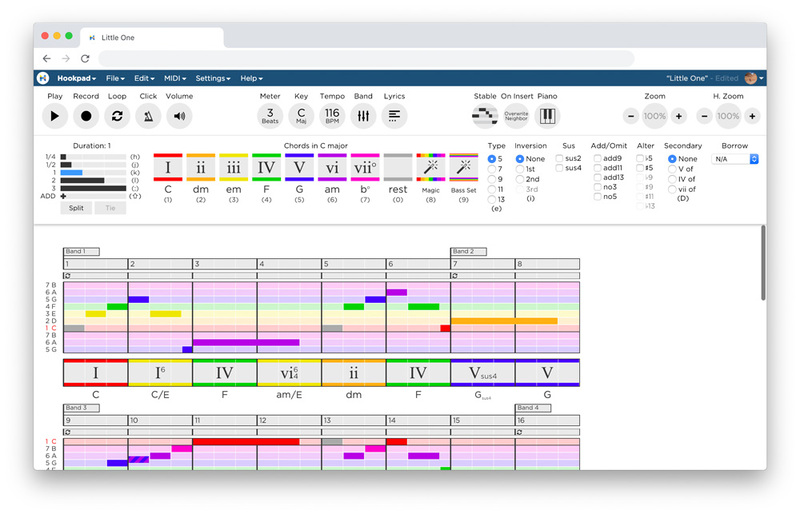 Accompanying songwriting software lets you practice every concept and tactic you learn immediately. No other music teaching book has anything like this. fun to read, easy to understand, and full of practical knowledge. 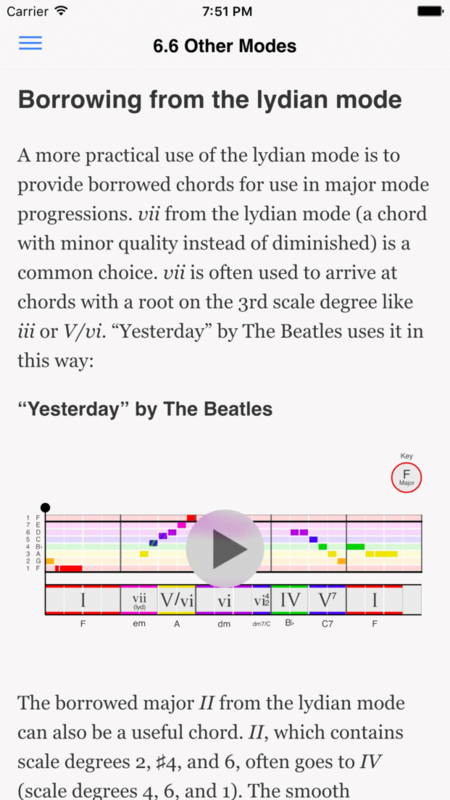 This exploration of melody and chord creation is fun to read, easy to understand, and full of practical knowledge. 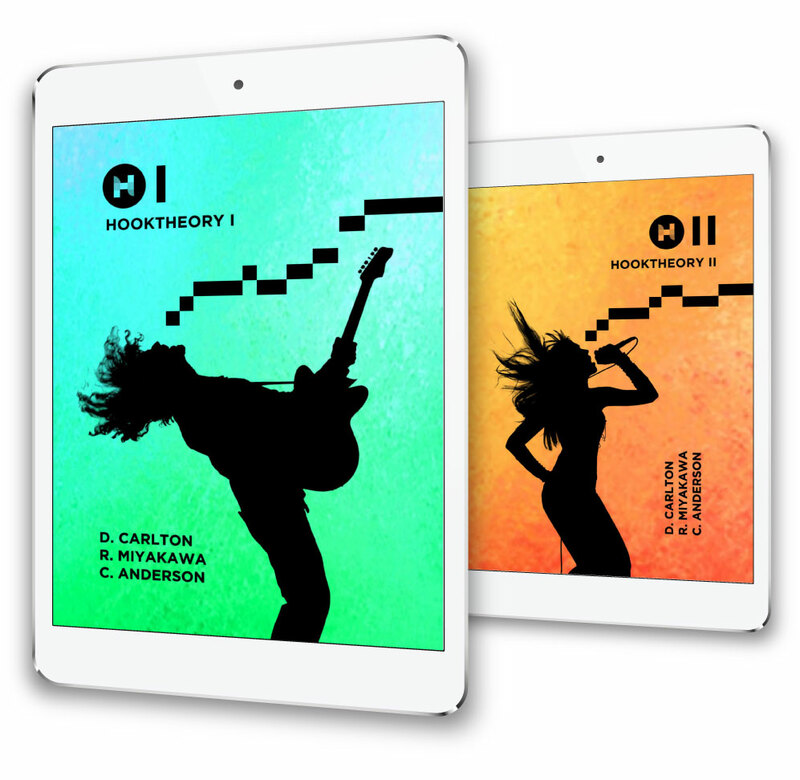 The series contains 124 interactive exercises and 324 audiovisual examples from artists like: The Beatles, Journey, Taylor Swift, Beyoncé, Adele, Coldplay, Billy Joel, Lady Gaga, Elton John, and Maroon 5 that make it easy to see the techniques these successful artists use. Reading the books doesn’t require any previous music knowledge or the ability to read music. On average, the series takes about 15 hours to read (but more to fully absorb) so it isn't a huge time commitment. Dedicate only a few hours to reading these books and gain a lifetime of skills that will give your music that professional edge. 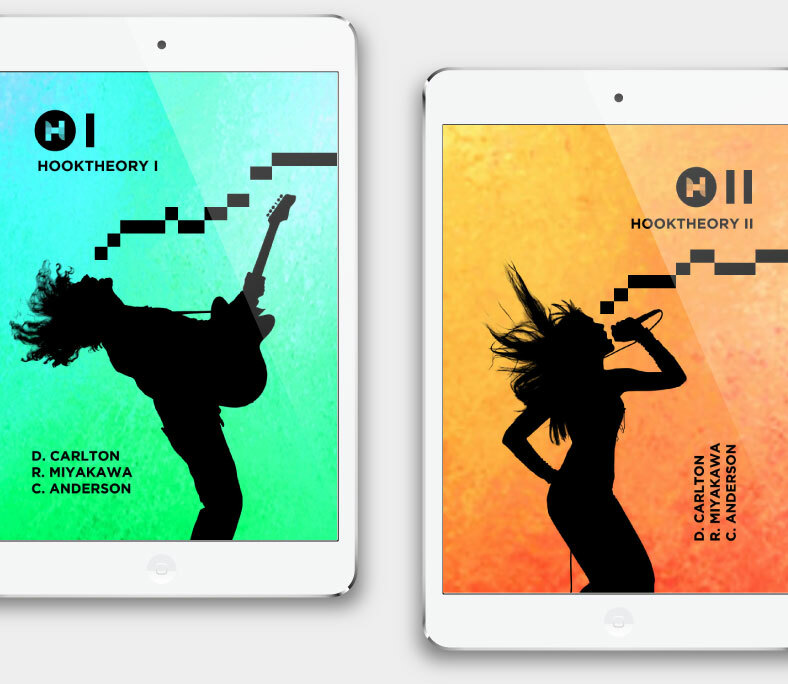 We wrote this book series because we were tired of all of the “songwriting” websites and books that talk vaguely of “finding your inspiration” rather than providing concrete tools to improve your music. 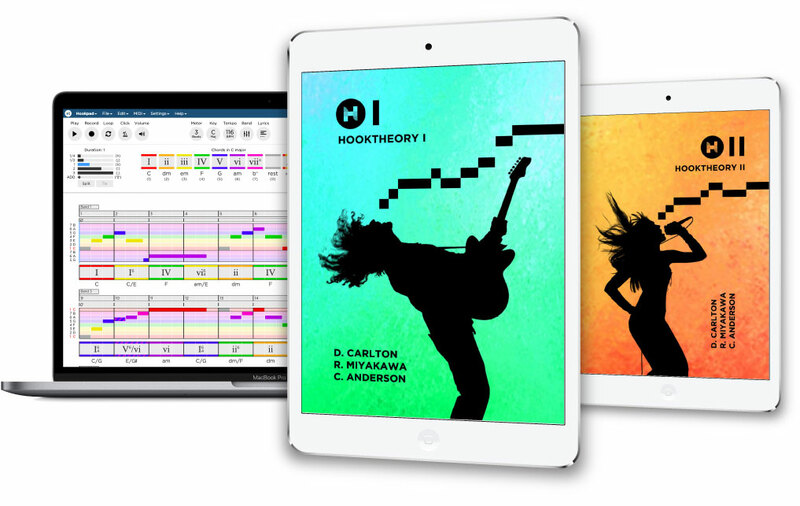 With this book series, we have created an approachable, intuitive resource that directly answers the hard questions: Why do certain chords fit together easily, and others not so easily? How can I get from this chord to that chord? How can I create a great melody? These books will make you say “ah ha!” many times over. While the importance of a song’s chords cannot be overstated, it is often the melody that stands out the most to the casual listener. 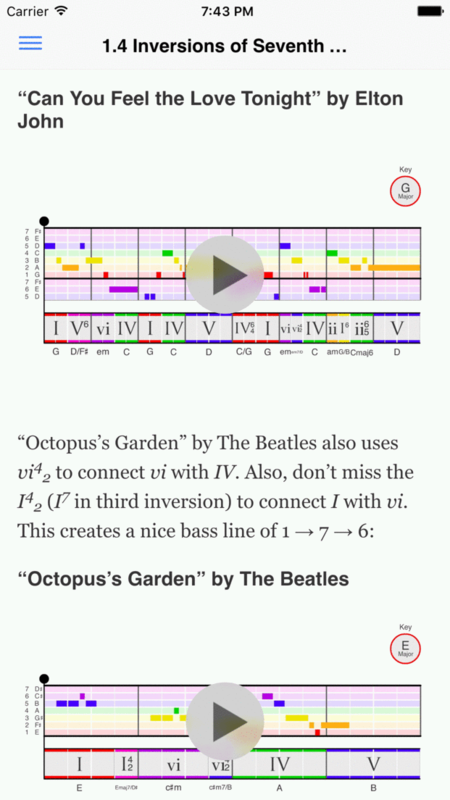 In this chapter, we’ll discuss the underlying structure behind a melody. We’ll answer the question, ”How do I know what note to sing?” and show you that a song’s melody can be broken down and understood just like its chords. 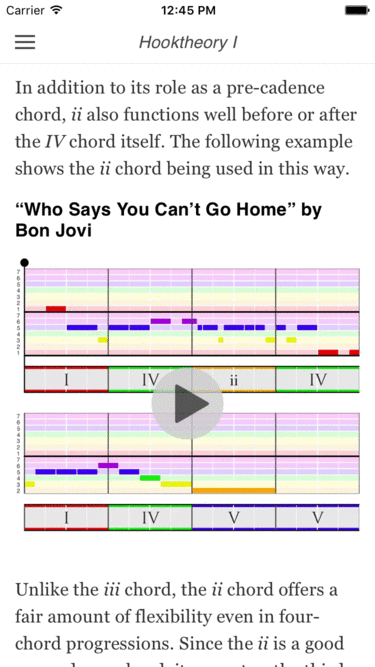 In this chapter we will continue our study of some of the basic chord types that make up popular music. The harmony you learn in this chapter will greatly expand the number of songs that we can understand and opens doors to much more creativity in your songwriting. 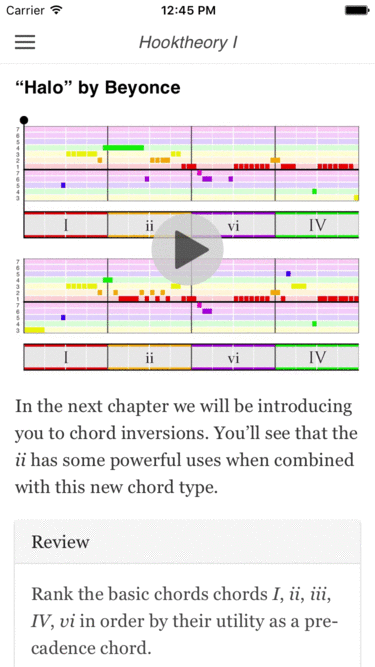 In this chapter we discuss the use of chord inversions, where a subtle reordering of the notes in a chord can significantly alter its function. 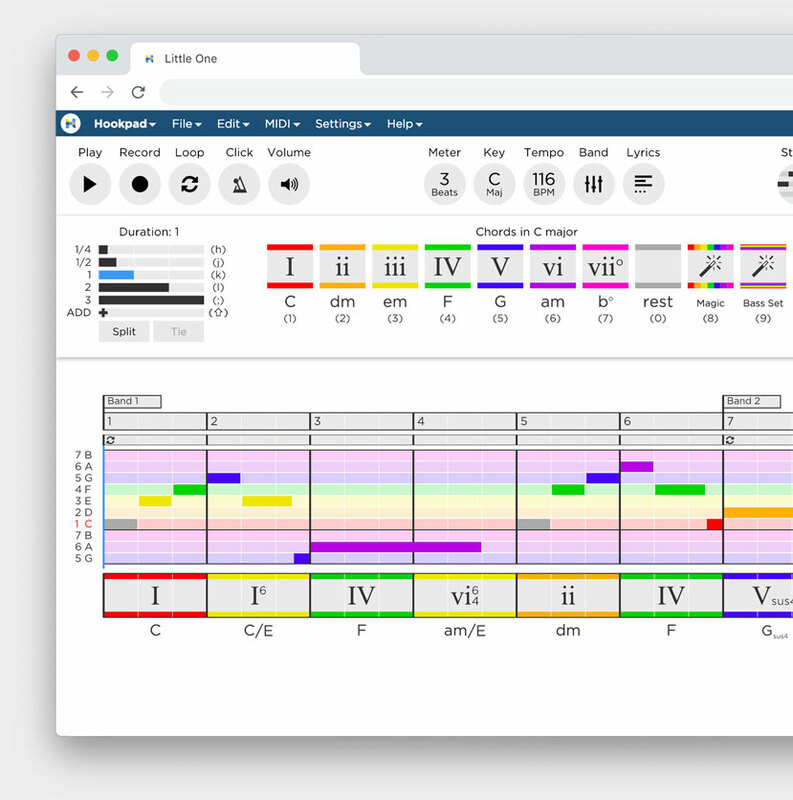 Inversions will give you access to a whole new harmonic toolset that allows more flexibility and creativity in your songwriting. Every musician loves a new trick that can quickly expand their repertoire. 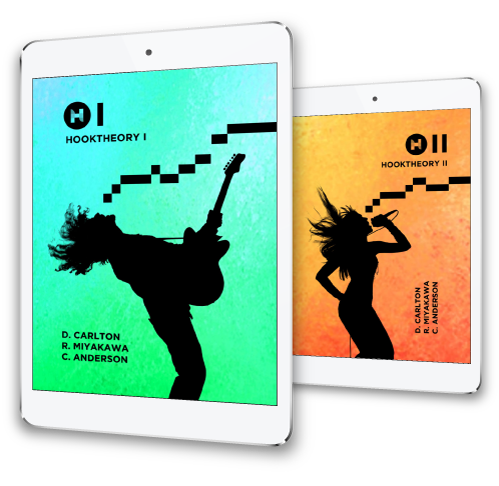 In this chapter you’ll learn about an easy way to raise the level of sophistication of your music through a new type of chord called the “seventh” chord. 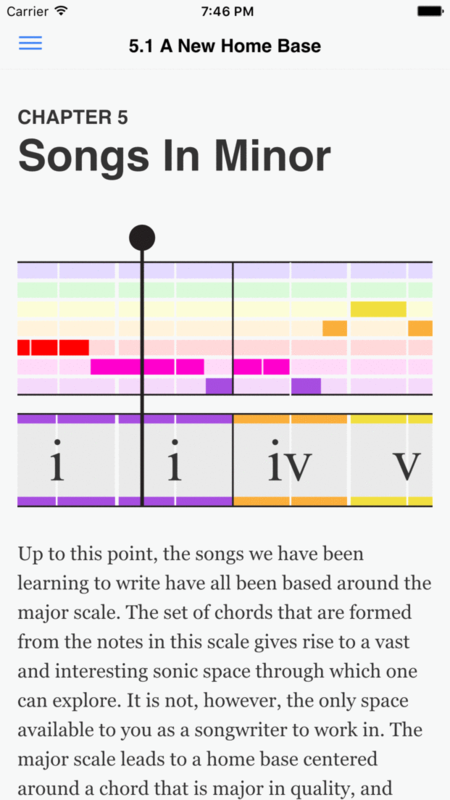 Seventh chords are just extended versions of the chords you already know; they contain an extra note that adds complexity and lets you do some really neat things. 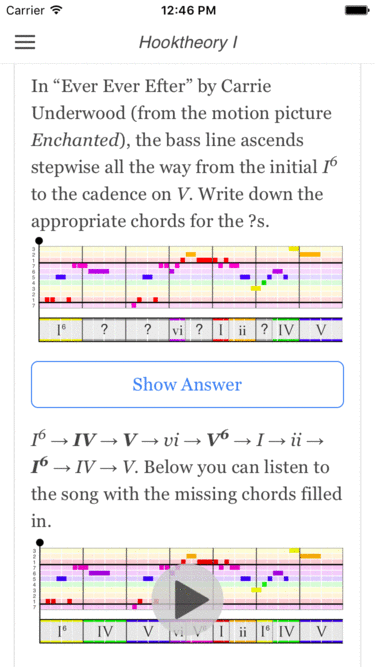 For example, the “seventh” version of V can be used to enhance its qualities as a progression-ending “cadence” chord; the “seventh” versions of ii, iii, and vi can be used to make a progression sound more smooth and mellow; and inversions of seventh chords can be used to connect baselines in new and beautiful ways. 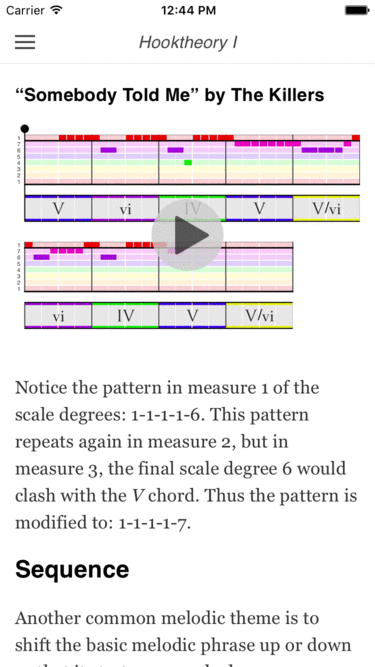 Up until this point, the melodies and chords you’ve learned have been built from the seven scale degrees that make up the major scale. The exclusive use of these notes is the foundation that underlies much of the theory we’ve discussed so far. 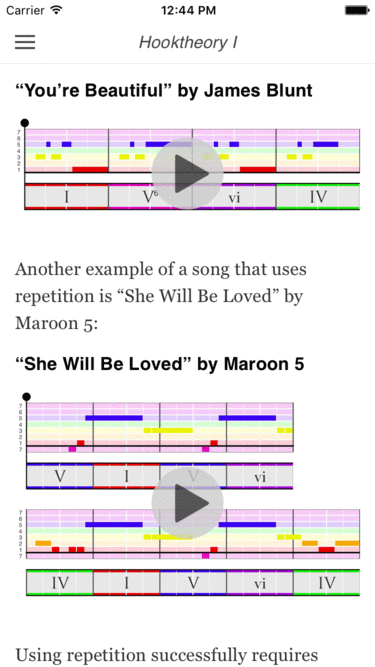 Of course, the truth is that songs do at times use notes that are outside their scale. 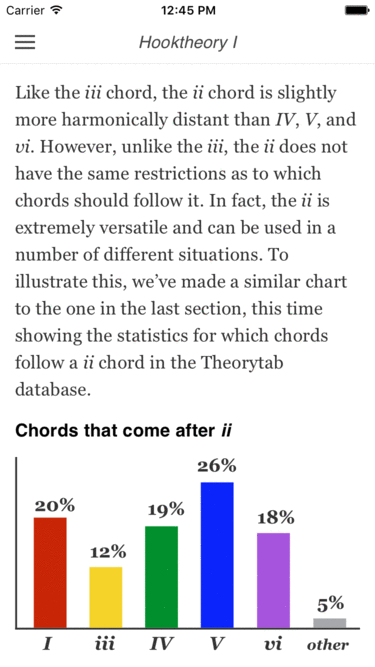 In this chapter, we’ll discuss the first of several important classes of chords that do this. 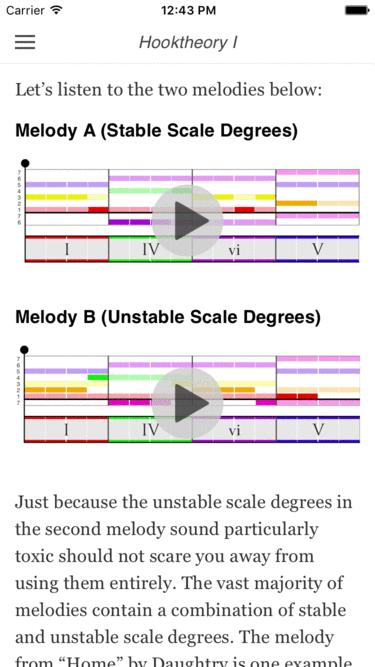 The fact that songs can sometimes use notes outside their scale does not mean the theory you’ve learned so far is being invalidated. The majority of the songs you hear on the radio really do stick almost entirely to their scale. When notes outside the scale are used, it is often done in very specific ways that reinforce the ideas you’ve been taught. This chapter will discuss one of the ways this is done and show you how to incorporate these techniques into your own songs. 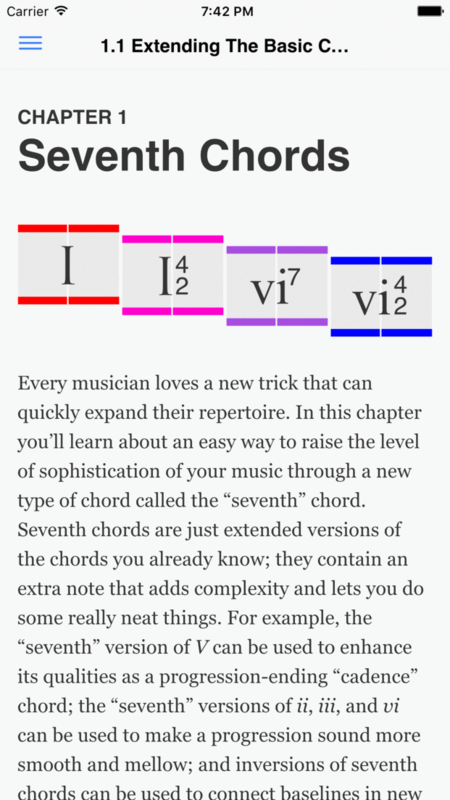 In the chapter on seventh chords, you were introduced to one way that the basic chords could be extended to give your musical ideas more complexity. 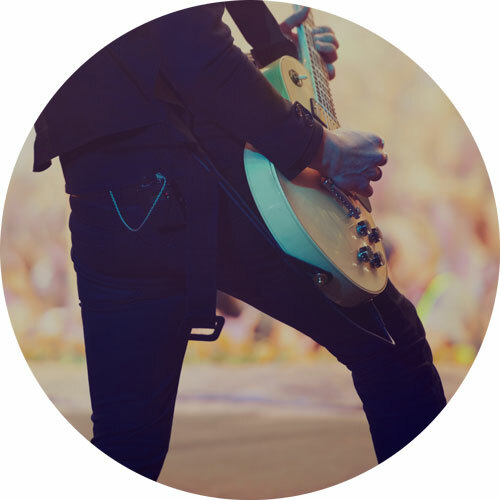 In this chapter, we will learn about several other ways to alter and extend chords that can create some surprisingly beautiful sounds. “Nadia’s Theme” from The Young and the Restless by Barry De Vorzon and Perry Botkin, Jr. 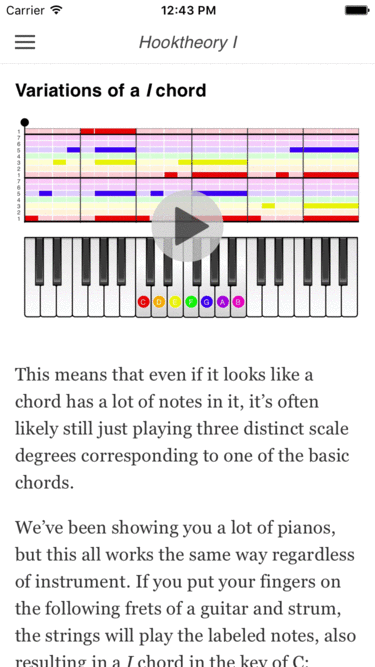 So far you’ve learned a lot about chords, melody, and how they fit together to make a great sounding song. This is a great start, but just because you’ve been exposed to the theory doesn’t necessarily mean you’ll able to use it effectively. 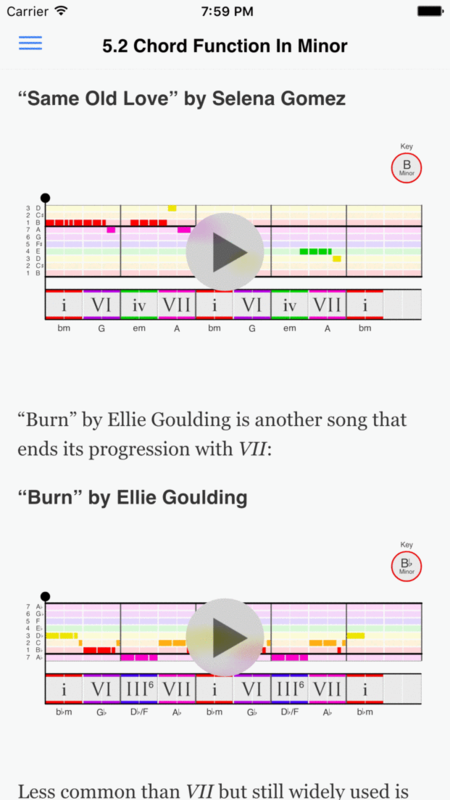 There’s a lot more to writing a great song than just knowing which chord goes after another. 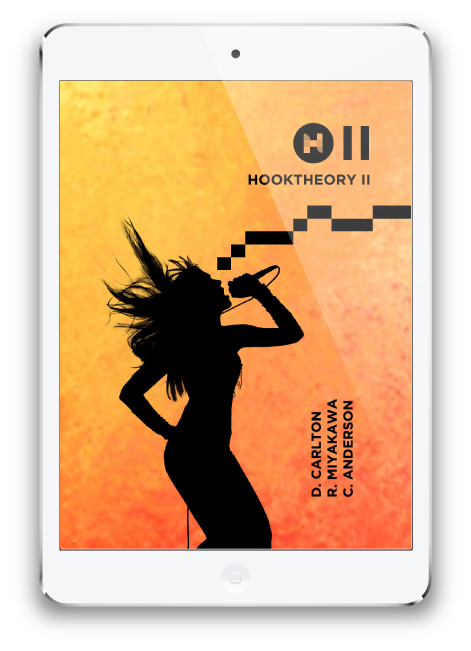 In this chapter we will pause for a moment to discuss some common creative techniques that you can apply using the knowledge you’ve obtained in earlier chapters (and Hooktheory I) to make music that is more unique and memorable. We hope this will help you unlock some of the potential in the tools that you have at your disposal. 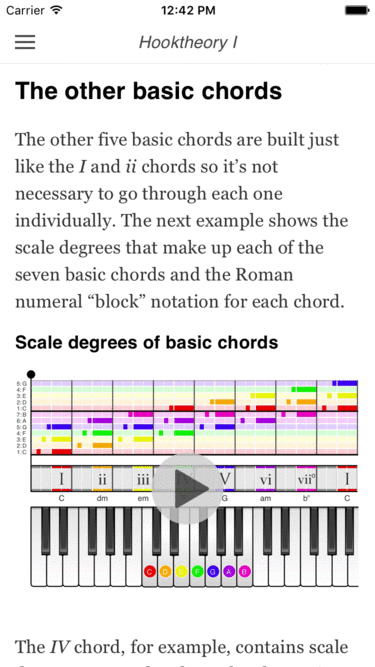 Up to this point, the songs we have been learning to write have all been based around the major scale. The set of chords that are formed from the notes in this scale gives rise to a vast and interesting sonic space through which one can explore. 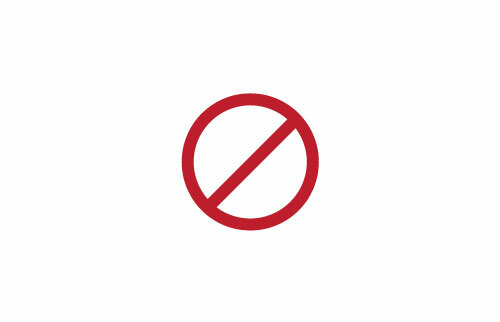 It is not, however, the only space available to you as a songwriter to work in. The major scale leads to a home base centered around a chord that is major in quality, and sometimes this sound isn’t appropriate for the feel a song is trying to evoke. For many songs it’s useful to be able to center your progressions around a different chord, a minor chord instead, for example. 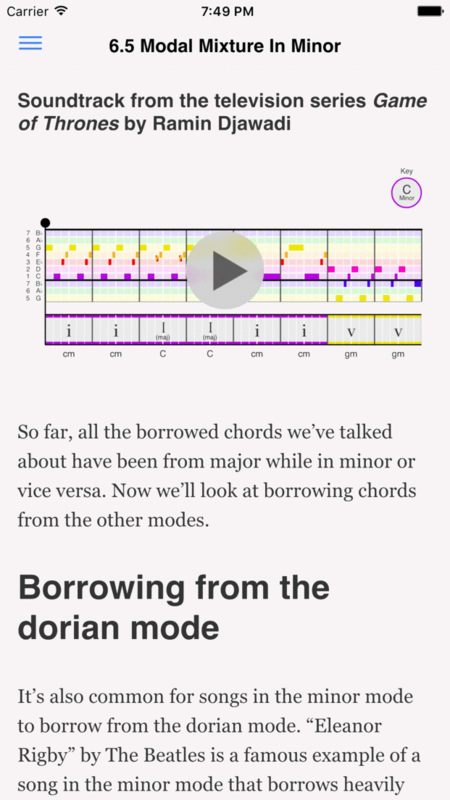 In this chapter, we will introduce the minor scale and discuss the techniques that go into writing a great song based around it. In the previous chapter, we learned about the new musical possibilities that are opened through the use of the minor scale. 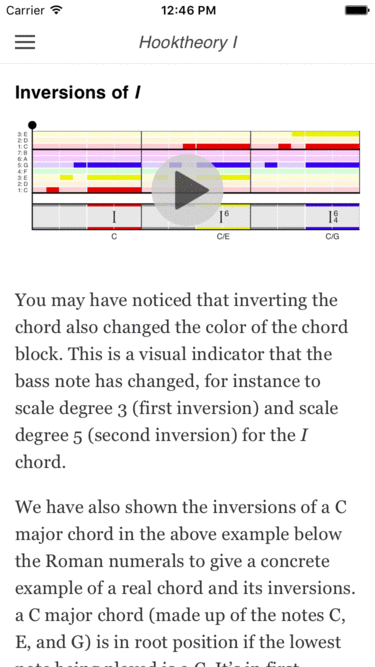 We also learned that while the minor scale can be thought of as a separate entity in its own right, it is also useful to understand it as a shifted version of the major scale that begins on scale degree 6. Of the seven notes in the scale, so far we’ve studied two of the notes as possible home bases. 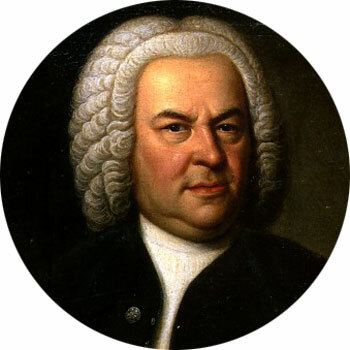 However, there are five other notes, and any of these notes can be used as the tonal center of a song. 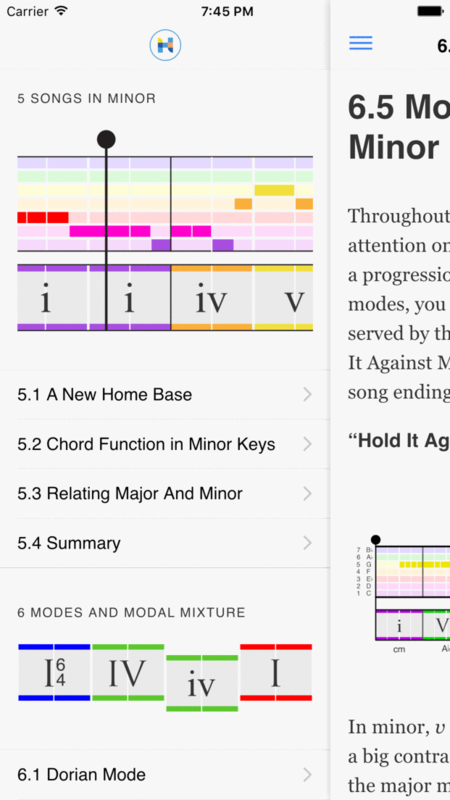 There are thus a total of seven possible home bases, and these lead to seven of what are known as “modes”: The dorian mode (home base on the 2nd degree of the major scale), phrygian mode (3rd degree), lydian mode (4th), mixolydian mode (5th), minor mode (6th), locrian mode (7th), and the major mode itself (1st). 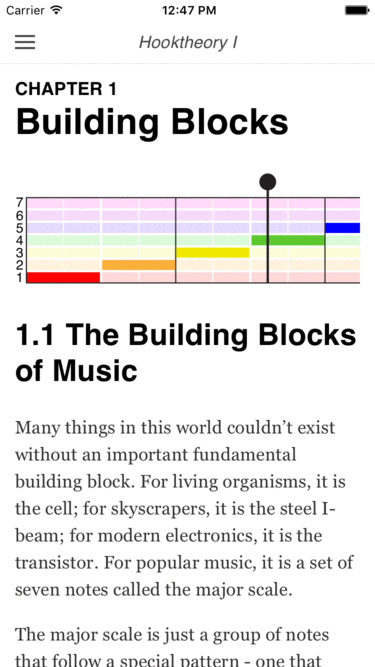 In this chapter we’ll explore some of the common modes used in popular music. We’ll look at some examples so you can hear the different feel that modes give a song, and we’ll see some of the ways that songs in these modes use chords differently. Lastly, we’ll explore the concept of modal mixture, in which a song is not purely and unambiguously in one mode or another. We’ll discuss how this is done and listen to examples from real songs. Hey there. 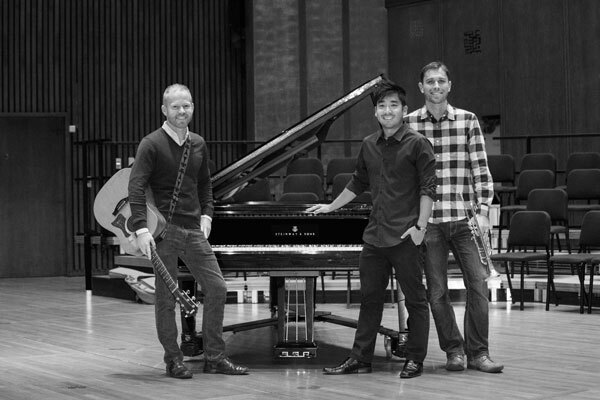 We're Chris Anderson, Ryan Miyakawa and David Carlton - the founders of Hooktheory (left to right). 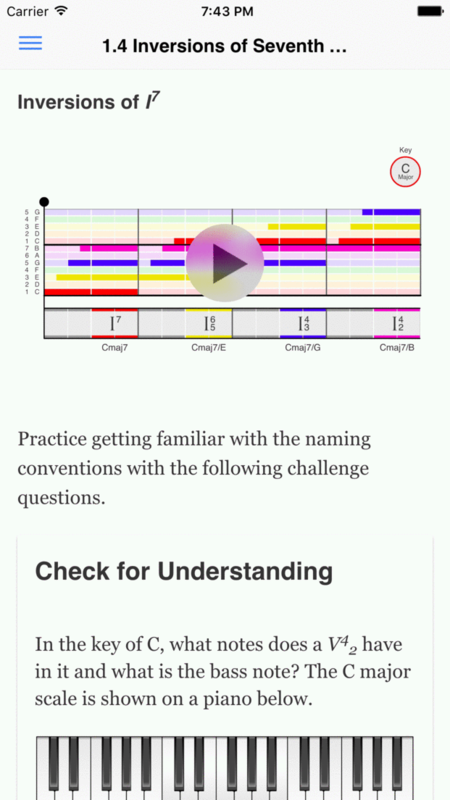 We all have Ph.Ds from U.C. Berkeley. 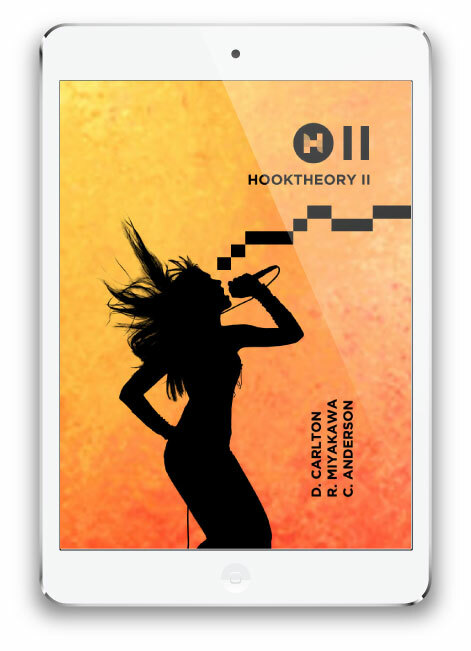 Our shared passion for music and education led to the creation of Hooktheory in 2011. There’s no better way to enrich your favorite hobby.